Could Breton Language Revitalization Lead to Loss of Culture? Sarah Little is a graduate student in Spanish Linguistics. Sarah is planning on continuing her studies in higher education. She is interested in phonetic and sociolinguistic research and aspires to live in Latin America in the near future. She wrote this text as a student in 418 ‘Language and Minorities in Europe’. In recent years, the argument against English as a Lingua Franca has found full support on the part of the French, who continually promote the idea of plurilingualism on an international scale. However, the situation within France narrates a different story. Breton, a Celtic language spoken in the Northwest region of Brittany, has undergone a lengthy process to gain the recognition and presence it possesses today. 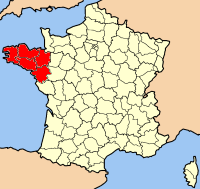 Although there have been vast improvements in the past few decades regarding perceived acceptance of this minority language, one could argue that the steps taken to revitalize Breton might not prove to be sufficient to cause the spiked growth it needs in order to no longer be considered a severely endangered language (according to UNESCO, 2015). The French attitudes have seemingly gotten much more positive towards the Breton movement compared to previous decades and periods of time. 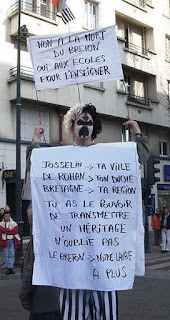 Breton speakers have had to overcome prejudice and persecution for generations. Prior to the First World War, after a large surge of emigration from the countryside to the metropolitan areas of France, teachers were entrusted with the job of putting an end to the Breton language (Lebesque 1970). During the Second World War, the Vichy regime expressed the hopes to promote regional culture through reestablishing provinces. However, frustrations arose when the French did not seem to satisfy the expectations of the movement leaders; this led some Breton extremists to collaborate with the Germans in the hopes of gaining a voice and power for their language. After World War II, their association with the Nazis caused a large negative uprising in the attitudes of the French against Breton culture and language as a whole. This subsequently caused the support of Breton language teaching to plummet. Overtime, certain legislative procedures provided Breton with some minimal support. The Loi Deixonne was passed on January 11, 1951, which favored the teaching of regional languages. The ‘Cultural Charter’ for Brittany, signed in 1978, aided in the area of acquisition planning by improving standards for Breton language teachers and opening more opportunities for students to study the language. Additionally, while France signed the European Charter on Regional and Minority Languages, they did not ratify based on the view that they did not want to “attack the fundamental principles of the Republic (Chirac 1999)”. In April 1977, the first Breton immersion nursery schools were opened after the Diwan organization was established. The 1980s marked an expansion of the immersion schools from nurseries into secondary education. 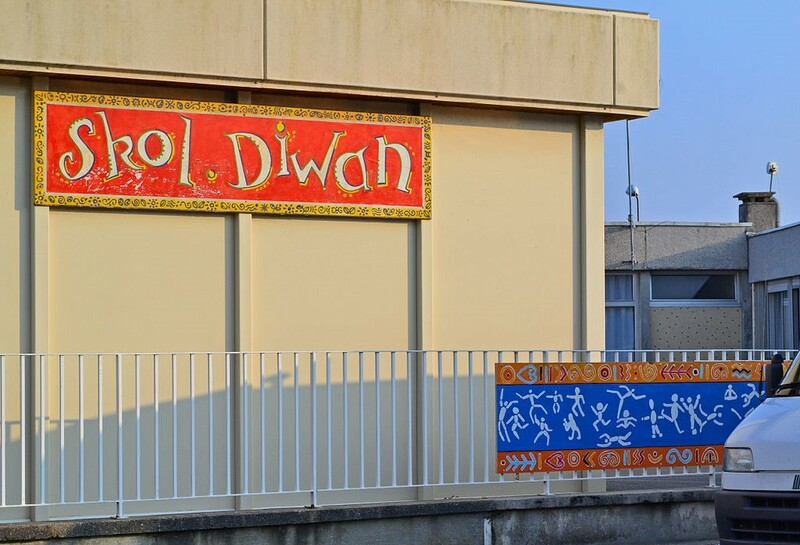 However, lack of funding for the Diwan schools has caused significant problems in the resources and furthering of the vision of Breton immersion schools. Financial support is available if the Diwan network concedes to join the public education system of France; however, this would cause a compromise of beliefs in the definition of immersion, and the amount of exposure to the Breton language would drop significantly. 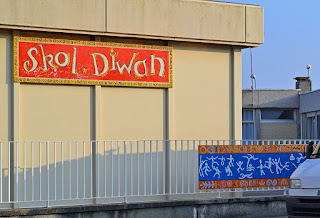 Currently, Diwan schools educate their students exclusively in Breton until the second year of middle school, when they begin to integrate certain subjects to be taught in French. If shifted into the public education sector, education would be split equally between French and Breton for all age groups. In 2004, the Diwan schools came to Paris. On the positive side, this has contributed to the spread of Breton by increasing the amount of speakers. Perhaps the language will gain more respect by having a presence in the education system in Paris. On the negative side, one could argue that the language’s expansion to Paris subsequently could cause a detachment from the region itself and thereby, a severing between the regional culture and the language. Additionally, the new standard Breton variety that has been established for publishing and acquisitional purposes has created a disconnect between native Breton speakers (especially those of older generations) and the younger generations learning the language in school. Within the Diwan school in Paris, not all parents are Breton-speaking, which further reiterates the problem that students will primarily view this regional language as a subject in school. Does this further support the argument that the regional culture could eventually become separated from the language if not learned and/or taught by persons originally from the Brittany region of France? The question remains: where should the Breton activists go from here? Expansion in Diwan schools to other parts of France seems only logical from the viewpoint of mere increase in the number of speakers. However, is this the only goal of language revitalization? Do we not address the cognizance and acquisition of a culture simultaneously when we speak of language acquisition? Should we not consider to address the possibility of cultural revitalization, or is it seen as implicit in language revitalization? If the Diwan schools continue in this way, perhaps we will see a case of disjoint revitalization, where the language thrives at the expense of the culture. Baxter, R. N. (2009). New technologies and terminological pressure in lesser-used languages: The Breton Wikipedia, from terminology consumer to potential terminology provider An teknologiezhioù nevez hag ar gwask terminologel e yezhoù nebeutoc'h implijet. Ar Wikipedia e brezhoneg: war an hent da dalvezout da broduer terminologel koulz ha bevezer terminologiezh Novaj teknologioj kaj terminologia premo en malpli uzataj lingvoj: La bretona Vikipedio—el terminologia konsumanto al terminologia provizanto. Language Problems & Language Planning, 33(1), 60-80. Berns, M. (2009). English as lingua franca and English in Europe. World Englishes, 28(2), 192-199. Costaouec, D. (2013). Skol Diwan in Paris: a step away from regionalism in the teaching of Breton. Sociolinguistic Studies, 7(1/2), 167-190. EuroNews [euronews (in English)]. (2007, December 9). EuroNews – Europeans – Regional or Minority Languages [video file]. Retrieved from: https://www.youtube.com/watch?v=5PkSsrB9ftw&playnext=1&list=PLAF7514346A22AB8B. Mendel, K. (2004). Regional Languages in France: the case of Breton. LSO Working Papers in Linguistics, 4, 65-75. Wright, S. (2006). 2. FRENCH AS A LINGUA FRANCA. Annual review of applied linguistics, 26, 35-60.